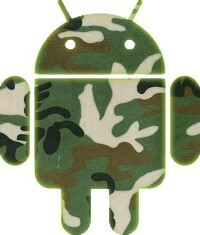 Android, Android everywhere. Android, Android in my hair. In my Nook and in my car in my netbook and in my... wait, Afghanistan? It seems defense contractor Raytheon, creators of the famous "pain ray", have launched a device called RATS: the Raytheon Android Tactical System. It allows soldiers to mark other soldiers and even UAVs as "buddies," then track their position in real time on a map, even picking up streaming video coming from above -- sort of like Latitude but putting a whole new spin on stalking. No word on how soldiers like their new devices so far, but once a Twitter app is added we're sure they won't shut up about it. Raytheon deploying Android-powered RATS on battlefields in Afghanistan and Pakistan originally appeared on Engadget Mobile on Wed, 21 Oct 2009 08:51:00 EST. Please see our terms for use of feeds.